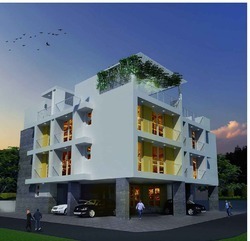 Apartment Starting from 15 Lac on wards. Strategically located near NH - 49, and the arterial Seaport-Airport Road. - Open Choice: New quality neighbourhood is waiting for you ! Your home is incomplete without quality neighbourhood that can take care of the every little and big requirement of a life by the sheer presence of basic needs and amenities of life and living available in close vicinity. Available Single/Double AC Rooms with attached western toilets running hot and cold water colour TV intercom electronic safe very very neat and clean opposite Hotel Jehan Numa Palace, Shyamla Hills, Bhopal. NO ROOM SERVICE. Tea and Breakfast available. No Lunch and Dinner available though can be outsourced if requested well in advance. 100% Advance required. We are engaged in providing Apartment Services to our clients. In these services, we provide comfortable accommodation under the safe and hygienic environment. Our dealers help our clients in choosing the residential apartments and reviewing the place among them. We offer our client offer wide variety of options to choose from.